There is more, but now it’s time to set focus on the new Trane XR16 air conditioner format and design. Details came out on May 10, 2017. But what makes the Trane XR16 standout in the world of modern air conditioning technology? Trane has long remained a global leader in the manufacture and deliver of indoor home and business air conditioning comfort solutions. High performance A/C technology follows the Trane initiative. 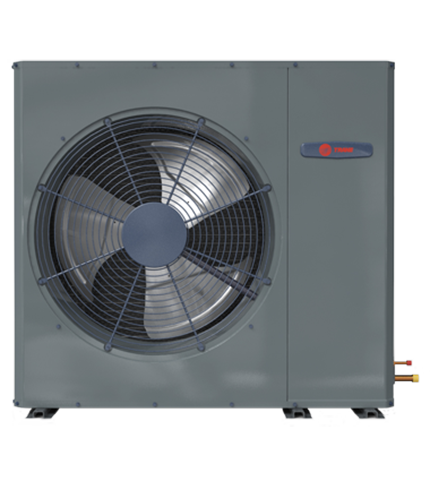 The Trane XR16 follows suit, focusing on applications wherein vertical discharge fails to fully enable effective air conditioning functionality. It’s a product designed to expand A/C installation options while also ensuring long-term reliable system performance and durability. Both homeowners and residential contractors can reap benefit from the low profile of the XR16 craftsmanship. Special features included custom draw-through design, geared to prevent re-circulation of exhaust and an SEER of up to 17. Units are crafted with tube and fin coil, Climatuff™ compressor, and refrigeration grade copper tubes. Maximum transfer of heat relies upon the efficiency of an enhanced aluminum fin coil surface. Enhanced swept blade fan design holds sound levels to less than 73dBA while also ensuring superior airflow. AND all internal functional parts. In addition, the compressor, coil and functional internal parts are also covered under a base five-year warranty. Although not yet available with heat pump functionality, keep your eyes and ears open. Trane has promised to address this issue before year-end 2017. Call now for more information on the Trane XR16 air conditioning system. We guarantee top quality HVAC workmanship from a company that is BBB A+ Rated and AZ ROC complaint-free. Learn more about ACH air conditioning products services.